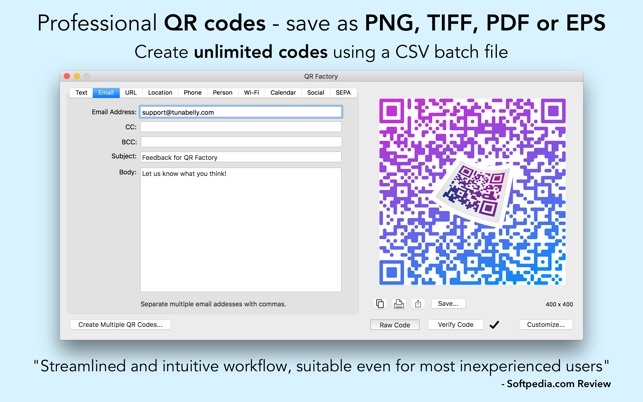 Trusted by companies around the world as the premier QR code creator for macOS + unlimited batch codes from CSV files. 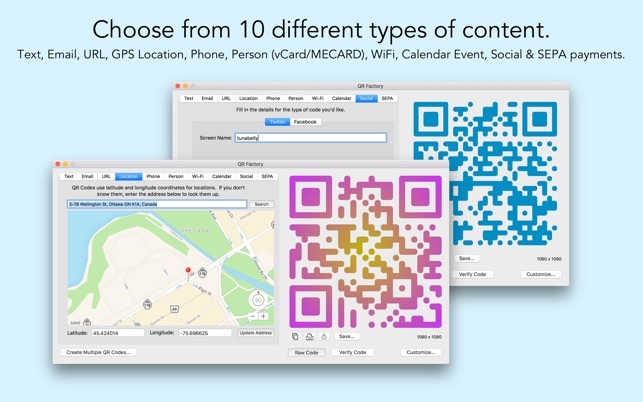 • QR codes belong to you with no re-directing to ads, sales pitches or interference. • Customize your code with smooth rounded corners, beautiful gradients, background colors, enhanced reliability or even your own logo in the middle. • Save as bitmap (PNG, TIFF) or vector (PDF, EPS), or instantly share on FaceBook, Twitter and more. 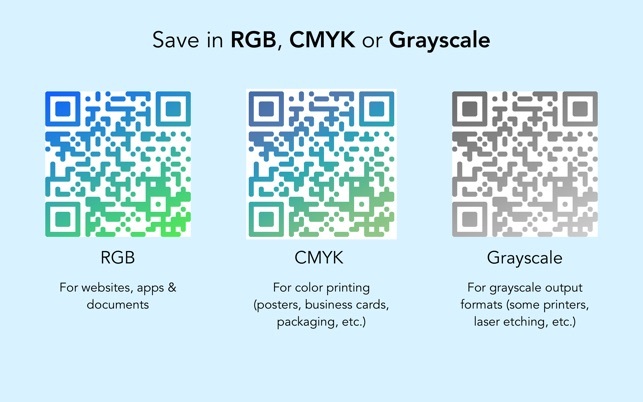 • Save in RGB, CMYK or Grayscale color spaces. • Rotate the codes by 90, 180 or 270 degrees. • Use the map search for making location codes or use an existing contact to make a MECARD/VCARD code. • Verify that your code will be readable with the built-in checker. • Print your code right from the app. • Export the code information and then import it back later for less typing. • Create SEPA (Single Euro Payments Area) payment codes. 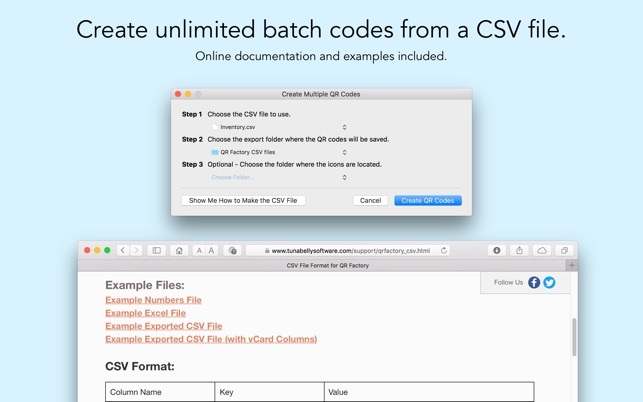 • Create unlimited batch codes (even 100,000 or more) from a CSV file with no In-App Purchase required. 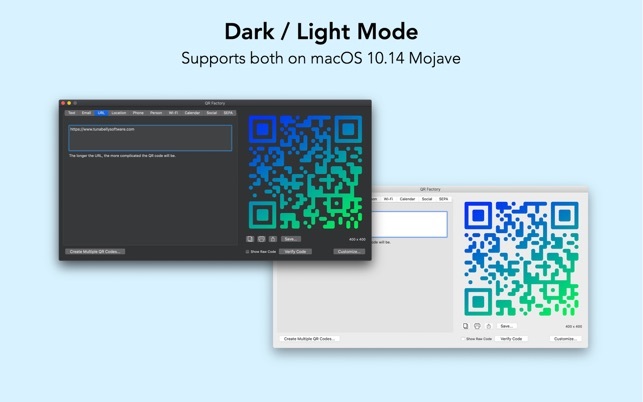 [New] macOS 10.14 (Mojave) support including for the new system wide Dark Mode. [Fixed] Issue where a CSV file with rows of empty data would fail to parse. 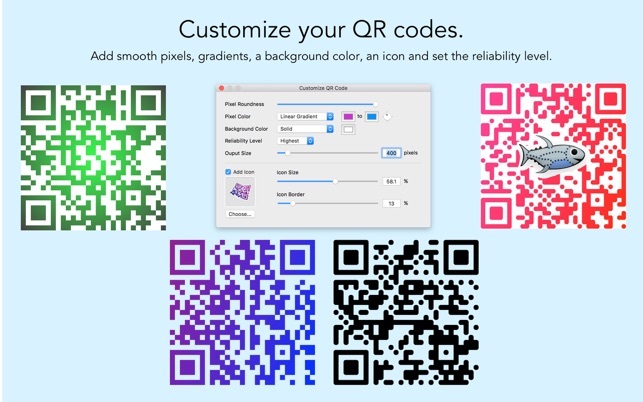 [Fixed] Potential crash when creating multiple QR codes if the CSV file changed or moved after it was chosen. [Improvement] Updated the notes for some of the QR code types to be more informative. [Improvement] Refreshed icon for the "Copy QR Code" button. © 2018 Tunabelly Software Inc.